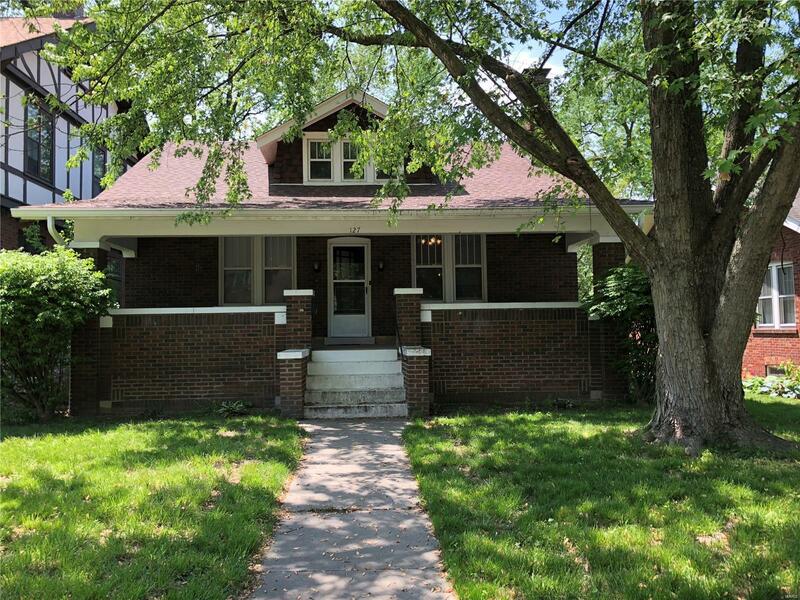 Come see this charming 3 bedroom 1 bath brick home. You will feel welcomed by the large front porch before entering into the living room with cozy wood burning fireplace highlighted by stain glass windows on either side. Wood flooring is found throughout the home with ceramic tile in the main floor bathroom. Kitchen has stainless appliances with plenty of cabinet space and a separate dining room. Two of the three bedrooms are on the main floor both with large closets. The entire upstairs is the location of the third bedroom with enough space to include a sitting and/or study area. Finishing off the inside of this home is a partially finished basement that is the perfect space for a recreation room. Outside there is a nice sized backyard with a shaded sitting area and recently updated detached garage. New A/C installed summer of 2018.